Brainwashed - Nocturnal Emissions, "Spiritflesh"
There is an ancient Indian parable about a group of blind men trying to describe an elephant–predictably, they all wind up with very different impressions of what an elephant is like, as they are each only experiencing one small part of something very large (tusk, a snout, a foot, etc.). I mention this because I feel like I am in a very similar situation whenever I try to wrap my head around Nigel Ayers' idiosyncratic and sometimes visionary career: I have roughly ten Nocturnal Emissions albums and feel like I have barely scratched the surface of his many curious and fascinating activities over the years (both musical and otherwise). Despite that intimidatingly vast ouevre, there are a handful of universally acknowledged landmark albums within his sprawling discography and Spiritflesh (recently reissued) is one of them. In fact, it is arguably the best of lot (depending on who you ask, of course). For better or worse, it is well-known for its influential role in shaping the dark ambient genre, but it is far more earthy, vibrant, and willfully experimental than any of the gloomy drones that followed in its wake and too unique to have many true kindred spirits. More than thirty years after its release, Spiritflesh's visionary collage of traditional instrumentation and field recording still sounds remarkably fresh and timeless. I generally believe that if an album is legitimately great, it can be enjoyed without knowing anything at all about its background or original context, as time has a way of unavoidably eroding and blurring both the cultural nuances of an era and the artist's original intentions. However, knowing a bit about an album’s origins can certainly unveil additional layers to appreciate, as Spiritflesh was a considerably more radical statement than just a classic ambient album (which it can easily be mistaken for these days, as its striking singularity has been blunted by everything that came after it). For example, prior to Ayers' late-'80s immersion in increasingly primitivist and ritualistic themes, Nocturnal Emissions had a lengthy run of beloved noise and skewed synth pop albums. The transition into Spiritflesh territory was not a completely abrupt one though, as Ayers and Caroline K had already started to blur the lines between the two worlds quite a bit with 1987's The World is My Womb, which incorporated both bird songs and processed recordings of Indonesian gamelan performances. With Spiritflesh, however, the break with electronics and technology was complete and definitive, as Ayers limited his instrumental palette to just harmonium, chimes, and a music box. Moreover, those instruments are mostly relegated to just background drones and coloration, as the foreground of these ten pieces is almost always devoted to field recordings of the natural world. It is also worth noting that Spiritflesh was recorded during the ascension of acid house, which means that Ayers was wandering around the London Zoological Gardens and Derbyshire Dales with a microphone while many of his post-industrial peers were flocking to clubs and embracing dance music. Very iconoclastic move (and it aged well too). Unlike the work of Richard Skelton, however, Spiritflesh does not seem to be inspired by a deep love for any specific place, as Ayers had no problem incorporating non-purist elements like windshield wipers, African birds, or chimps. Instead, he seemed focused on creating his own place altogether, evoking a timeless vision of rural England that lies somewhere between the pastoral and a hallucinatory dreamstate. While Ayers was pointedly anti-technological in his choice of source material, that constraint did not apply to the production side of the equation, as the various sounds were collaged, looped, and processed into a variation of reality that feels ancient, shimmering, and unfamiliar. The predominant compositional aesthetic here is definitely the tape loop/"locked groove" school of alternately obsessive and hypnotic repetition, which certainly contributes to that effect. For a number of pieces, such as "Cloud Can" and "Ape Chimes," Spiritflesh is ambient in the true sense of the word, as Ayers weaves a surreal and absorbing environment of warm minimal drones, bird song, blurred wind chimes, and a discreet host of other sounds that endlessly loops and overlaps in pleasantly disorienting fashion. In a few cases, the distance between Ayers' vision and present reality is a bit more striking though. 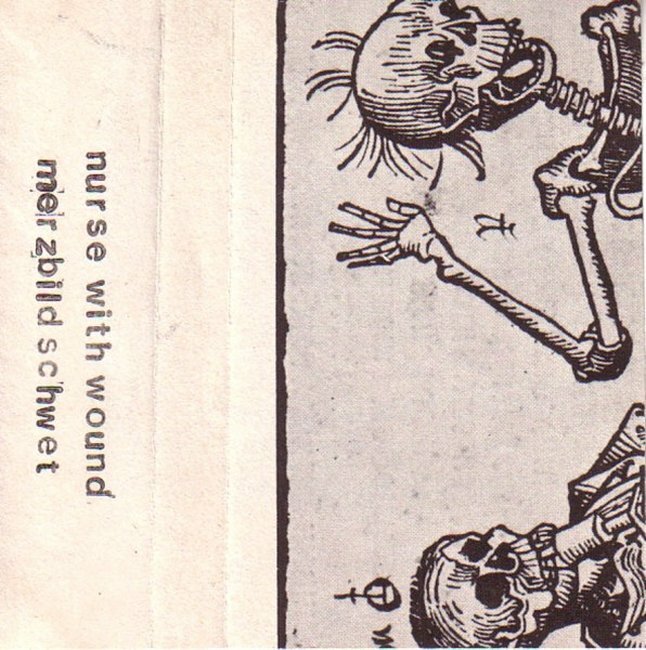 For example, the hiss-soaked "Ch'i Sea" sounds like the gentle churning and lapping of a subterranean lake in a hidden grotto, while the rumbling percussion of "Boneshaker" feels like a field recording of an exotic tribal procession (an ethnological forgery that would have pleased Can, no doubt). "Raindance," on the other hand, would have probably delighted a young Rashad Becker, as it sounds plucked from a darkly lysergic imaginary jungle. Curiously, Ayers only stretches into more conventionally structured and melodic fare once, with the gorgeously haunting and otherworldly "Acres of Gold," making that piece the album's undeniable centerpiece. Part of me wishes he had been similarly ambitious with some other pieces as well, but that one glimpse of sublime brilliance admittedly provides a very effective and alluring gateway to the more nuanced pleasures of the rest of the album. 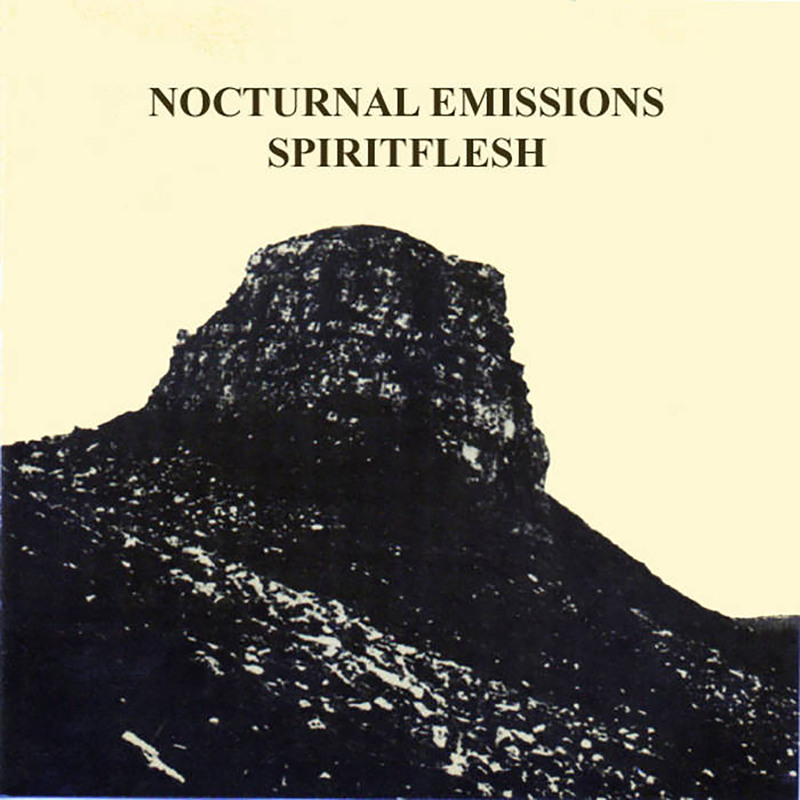 Speaking of nuance, I would be remiss if I did not also mention that Spiritflesh is a masterfully uncluttered and understated album from start to finish, displaying a lightness of touch that was very much in opposition of the pervading '80s cultural zeitgeist. In fact, absolutely everything about Spiritflesh makes me think that Ayers looked at the world around him and empathically said "no thanks," then set about creating a better one. And while Spiritflesh is admittedly just an album, I do think Ayers succeeded in that grand, quixotic objective, as he essentially created a modest and makeshift portal into an immersive world of mystery and beauty where normal temporal and dimensional boundaries are considerably more porous (and there are no cars or nearby people). As such, Spiritflesh's place in the ambient canon is a well-deserved one, but I think it deserves at least an honorable mention as a significant work of 20th century avant-garde composition as well, offering an inventively naturalistic inversion of the musique concrète aesthetic.